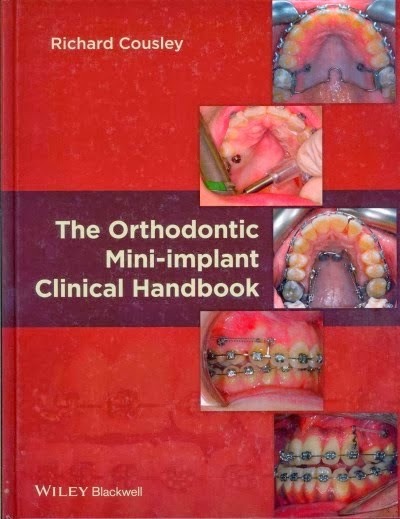 The Orthodontic Mini-Implant Clinical Handbook is the must-have book for trainee and practicing orthodontists. It provides the essential theoretical and clinical mini-implant information to enable the clinician to easily introduce skeletal anchorage into their practice across a wide variety of common clinical scenarios. The initial chapters cover general principles with subsequent chapters employing a step-by-step approach to guide the novice through the most common clinical uses for orthodontic mini-implants including: incisor retraction, molar distalisation, transverse and asymmetry corrections, and orthognathic surgery uses. Richard Cousley is a Consultant Orthodontist at the Peterborough and Stamford Hospitals NHS Foundation Trust, and in private specialist practice. He is the Associate Editor for the Journal of Orthodontics and a Membership in Orthodontics examiner for the Royal College of Surgeons (England). Richard has pioneered mini-implant usage in the UK since 2003 and designed the Infinitas mini-implant system. He has published numerous clinical papers on bone anchorage techniques, and has been an invited lecturer at British, European and American orthodontic conferences and university programmes. Most recently he became the UK clinical advisor for an orthodontic aligner company.